Ronco dehydrators are some of the best models on the market that offer ease of use, power, and portability in one package. 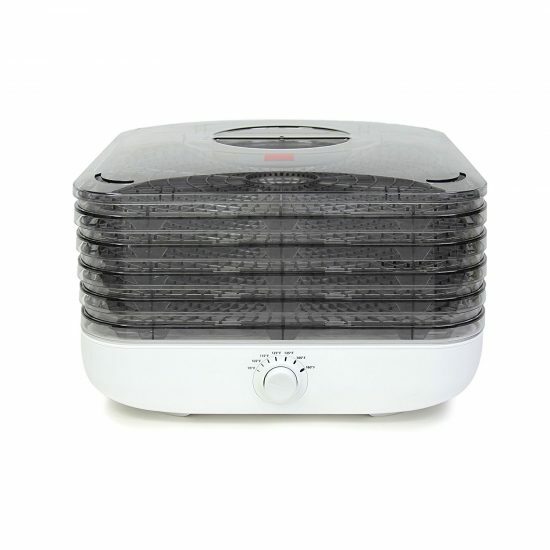 Often, users have queries and questions regarding these dehydrators and their features. The answers to all these can be found in the Ronco food dehydrator manual for each specific model. A Ronco dehydrator manual offers an in-depth look at the various features, functions, and recipes that you can make with these dehydrators. In this article, we are going to discuss some of the popular dehydrator models from Ronco and talk about each Ronco food dehydrator manual and all the information it offer. 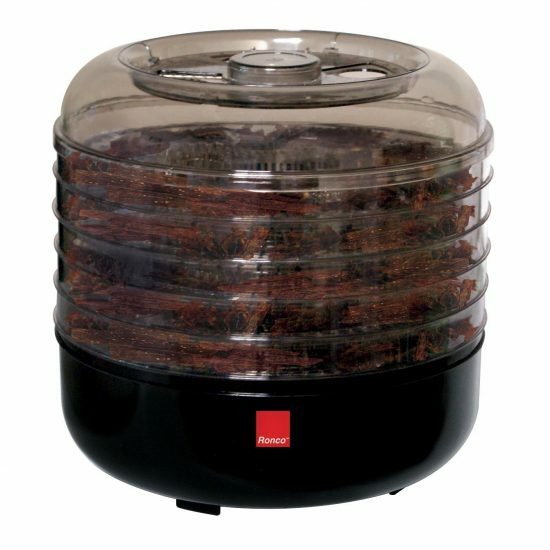 You can also find free Ronco food dehydrator manual link with each section of this article. Usually, a Ronco food dehydrator manual is provided with the dehydrator, but if you’ve bought your dehydrator refurbished or you bought it a long time ago, you might not have the manual with you. But don’t worry, you can find the PDF files of the manuals for the popular Ronco dehydrators at the links provided in this article. The dehydrators made by the company have a modern design that is ideal for use in homes. Whether you to dry fruits, vegetables, or meat, these dehydrators will offer plenty of power to do just that most efficiently. 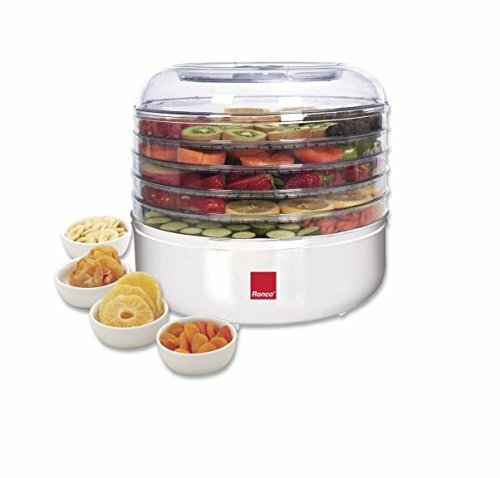 The dehydrators come equipped with modern features such as timers and thermostat to make dehydrating fun and easy so that you can enjoy your dehydrated food in the comfort of your own home. Let’s have a look at some of these dehydrators and their manual sections. If you’re looking for the manual for Ronco Turbo EZ-Store Dehydrator, you can find it at the following link. Simply right click on the direct PDF link and choose “save as” to download this manual for Ronco electric food dehydrator. If you’re looking for the manual for Ronco 5-Tray Food Dehydrator, you can find it at the following link. Simply right click on the link and choose “save as” to download this manual for Ronco 5-Tray Food Dehydrator. If you’re looking for the manual for Ronco Beef Jerky Machine Plus 5 Piece Jerky Kit, you can find it at the following link. Simply right click on the direct PDF link and choose “save as” to download this manual for Ronco Beef Jerky Machine Plus 5 Piece Jerky Kit. If you have any doubts or concerns regarding the use of your dehydrator, the manual that comes with the unit is the best place to educate yourself. You can also download the manuals in PDF format from the links provided in this article. You will need a compatible PDF reader to open and read these manuals. For more information about dehydrators, please browse through our website. If you’d like to a dehydrator related topic covered here, you can leave a comment below any article and our team will follow up on it. Happy dehydrating! I’m searching for an instruction manual on the Ronco Giant food dehydrator. It’s stacked with ten trays. Hoping you can help ? Sorry! we don’t have that model manual yet. top and bottom vent setting chart on a 1991 dark 3 tray ronco dryer.i have looked at lots of manual and find nothing.help please. Looking for the manual for Ronco model 1888/ 5 Tray with slicer. I need the manual for model K1908 electric food dehydrator.